Is God calling you to this unique opportunity? Global Recordings Network Australia (GRN) is an interdenominational, evangelical, faith-based Christian mission based in Prospect, NSW. Our aim is to effectively communicate the gospel of the Lord Jesus Christ to oral communicators and unreached peoples in their own language by means of audio and audio/visual recordings. 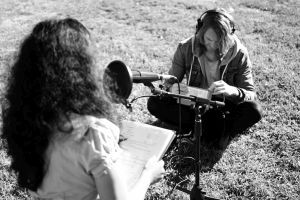 Our recordists work in partnership with local churches or mission agencies, both here in Australia and overseas, to translate and produce audio recordings of short Bible stories and simple Bible teaching for use in evangelism and discipleship. We use local voices and culturally appropriate music to communicate the gospel to people who don't have access to the scriptures in their own language. All GRN staff are required to accept and sign the GRN statement of faith. GRN Australia is committed to training the next generation of field recordists, to equip them with the technical skills and cross cultural knowledge required for the role. Therefore, we have developed the 12 month Trainee Recordist program to provide a Bible college graduate the opportunity to begin their mission journey as a GRN recordist. This is a unique opportunity to get field recording experience and to obtain a recognised qualification in Sound Production through TAFE NSW. The Trainee Recordist will primarily be based in the studio at our Prospect office where they will learn from experienced recordists about GRN specific recording/processing procedures. This will include operation of our field recorders, editing recordings and producing a master. The trainee will also be trained in the day to day workings of the studio which include preservation and restoration of our audio archive. Furthermore, two days a week will be spent at TAFE completing a Certificate III in Music Industry (Sound Production) where the trainee will get hands on practical teaching from industry professionals. In addition the trainee will experience a field recording trip during semester break where they will create their first GRN audio recording. Once edited and programmed this recording will be distributed online via the GRN website and 5fish app. At the end of the year the trainee would have the opportunity to apply for membership of GRN. Once accepted they would go on to do further training in areas of linguistics and cross-cultural communication before being deployed overseas or locally under the supervision of an experienced recordist. GRN operates in over 30 countries around the world with opportunities to serve in Europe, Africa, Asia, the Pacific and in indigenous communities within Australia. The role would best suit someone who has recently completed (or will soon complete) a theological diploma (minimum) and is seeking God's direction in where to serve. Availability for traveling or working abroad or in a rural setting for short or long periods. As a requirement of studying at TAFE the candidate must be an Australian citizen, Australian permanent resident, humanitarian visa holder or New Zealand citizen. Working at GRN brings some great benefits, including the opportunity to be a part of God's mission to reach people of every language with the gospel, access to state of the art equipment, the opportunity to travel, a minimal monthly living allowance* and much more. * Note: The successful applicant will be responsible for raising the remainder of their living costs. GRN will provide training and mentoring on effective support raising. To apply please submit an expression of interest to Simon Johnston in the Australian office, outlining your suitability for the position (max 300 words). 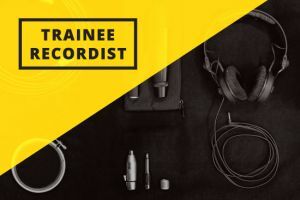 Please make sure you include your name and contact details (including a contact phone number) and how you heard about the Trainee Recordist program. Recordists and Studio Staff - Our recordists and studio staff use their skills in audio recording and processing to tell the story of Jesus in every language.